First off, let’s say congratulations on getting into university. Whether this is your first semester or your 22nd we’re supremely glad to have you. Now, one of the great joys of the fall semester is that the university community spares no expense welcoming everyone to the start of the new school year, which means an overwhelming amount of events to choose from. For those of you who are indigenous and want some help choosing which events to go to we’ve compiled a list of all the indigenous events happening on campus the first month of the fall semester. Enjoy. The long awaited Indigenous Student Centre (ISC) is officially opening its doors in the AQ 2ndfloor. Food, speakers, and lovely people to meet will all be provided at this historic event. The FNSA (First Nations Student Association) welcomes new indigenous students to check out their shared space in the rotunda with food, raffles, and conversation. Come out to Convocation Mall and check out all the university’s clubs on display! The FNSA will be there to answer any and all your questions and they will have coffee. Come out with the FNSA and enjoy a free meal out! This is a family friendly affair so please feel free to bring your family. There will be an indigenous BBQ at the ISC. Bring your family! Come out and enjoy free food and the company of your indigenous community. 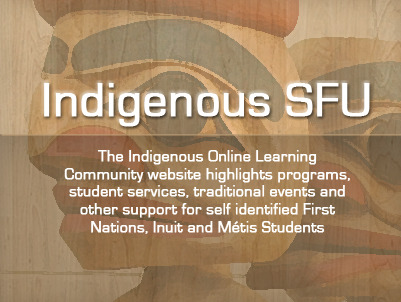 Learn traditional teachings from a community member as you construct your very own hide drum. The FNSA and Women’s Centre team up to give you this cultural workshop taught by one of our community members. You will be learning and putting to practice traditional medicine teachings. This event, organized by the FNSA, takes place in Convocation Mall and will host indigenous dancers, vendors, and informational booths. Whether you’re indigenous or not come celebrate and learn about indigenous cultures. This event will bring together indigenous students from across the lower mainland to network and connect while enjoying food and the great atmosphere of the Bill Reid Gallery. Technically, this isn’t the first month, but if you’re a member of the FNSA and you’re interested in being a part of the decision making process or just want to see how the decision making process goes down, this is a must-go event. Important, year-long decisions will be made. Be there. *Lead image: creative-commons licensed photo by josiejose. Photo cropped by blog author.